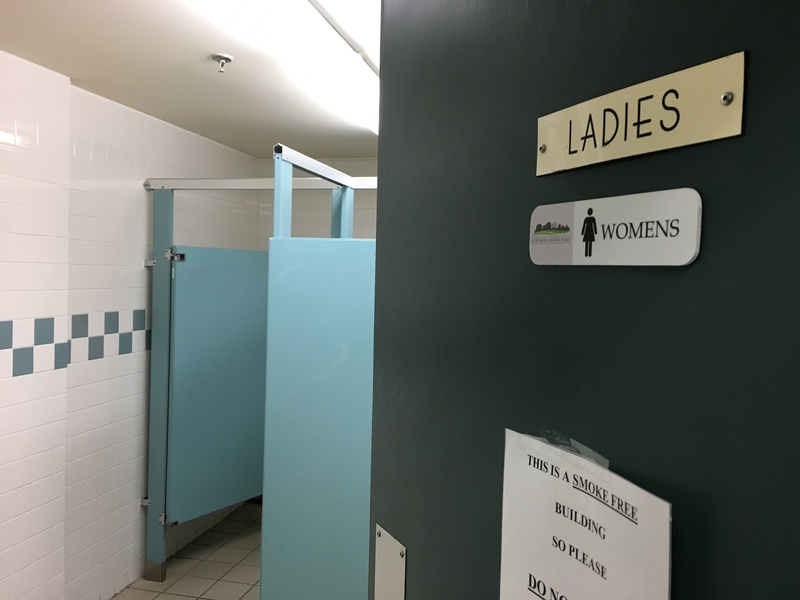 The washrooms at Northern United Place will be getting a substantial upgrade to make them accessible to people with physical disabilities. Presenting $100,000 in federal dollars to the project was NWT MP Michael McLeod. Referencing a Statistics Canada 2017 survey on disability, McLeod says 22 per cent – one in five – Canadians has a disability and this number is growing. Those who live with disabilities are more likely to be living in poverty, unemployed or earning much less, the survey showed. With the harsher Northern climate, it can be even more challenging. 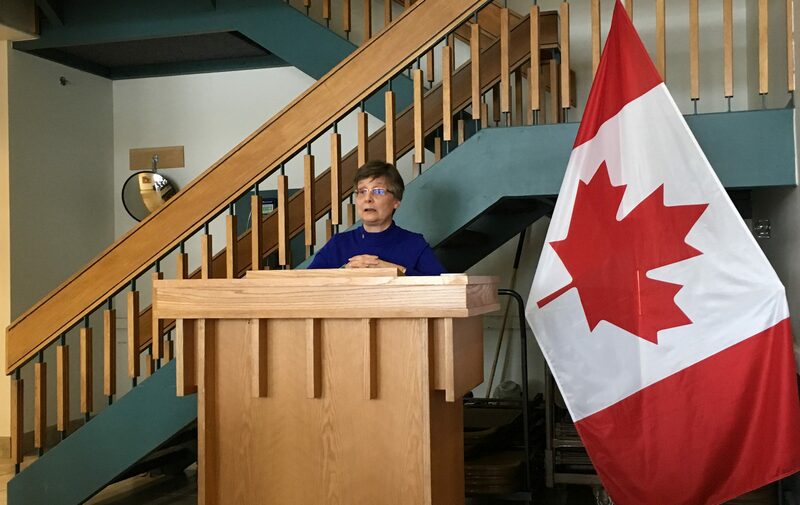 McLeod says older buildings in regional centres and Yellowknife are in need of upgrades to remove these challenges. Northern United Place is a gathering spot for many Yellowknife groups and, perhaps less well-known, an 84-unit affordable housing complex run by the NWT Community Services Corporation. Of the 84 homes, 32 are occupied by seniors. 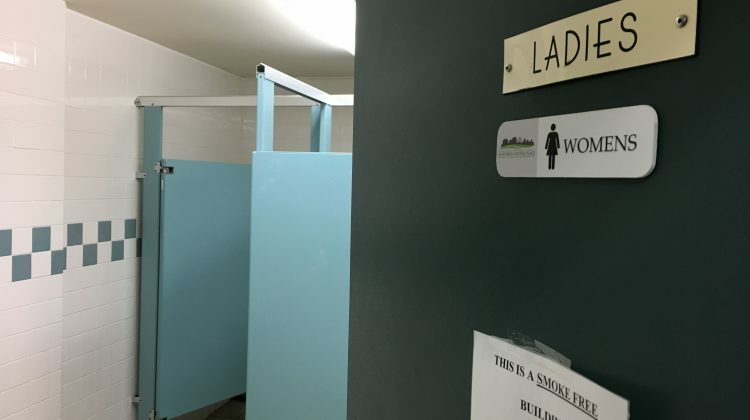 President of the corporation’s board Gordon Hamre says the accessible washrooms are the latest addition to improving access to the building – wheelchair ramps and automatic doors have already been added. The Corporation will be contributing $25,000 to make the washroom rebuild possible. The Yellowknife United Church played an integral role in the creation, and now the management, of Northern United Place. Board member Barb Paquin says she hopes to see the bathrooms become gender neutral, aligning with the church’s inclusive ideology. Executive director of the corporation Gail Leonardis says she is looking at this possibility – it depends on what kind of logistics and costs would be involved. The overall goal of the renovations, she says, is building an even more inclusive space. The NWT Community Services Corporation rents out commercial space in the building, where it gets 75 per cent of the funding to operate the affordable housing in the building. Families and individuals making less than $45,000 per year can apply to rent at a rate of 30 per cent of their gross income. Seniors and people with mobility disabilities can get rebates on this amount as well.